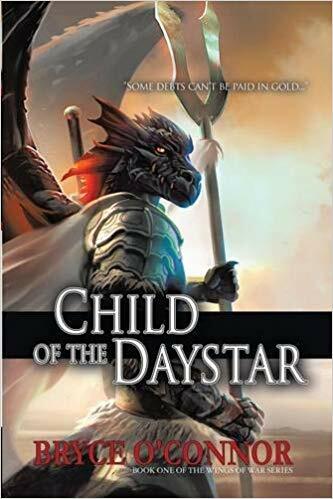 Child of the Daystar by Bruce O’Conner, ebook, Lulu Publishing, 11-16-2015, 280 pages, fantasy, Wings of War series, book 1 of 4. In the mood for fantasy, which you may recall I said in this blog in January that I planned to read more of, I turned to this, the first of a four volume fantasy series in ebook format. Raz I’Syul Arro is a male atherian, a sort of giant humanoid lizard, but of the rarest variety because he has wings. As an infant, he is rescued from slavers by a nomadic clan living in the Cienbal desert. The clan adopts and raises him as human, teaching him human language and in particular to keep his savagery in check. However, following the death of his adopted “parents” he vows revenge, becoming a ruthlessly efficient killer for hire, bent on vengeance and murderous retribution against all slavers that he can lay his hands on. He is known as the Monster of Karth (one of the Fringe Cities of the desert) and is stronger, faster, more ferocious and more agile than humans, adding his tail, claws and teeth to his sword, dagger and armor. While there are battles, sometimes somewhat gory, the best aspect here is Raz I’Syul Arro’s personality. Also the world building, the mostly desolate desert and rock world, is well done. There is a secondary plot, which will no doubt meld with the first in the next books, involving a peace-centric cult, one of whose members Raz saved in a battle. I enjoyed this quite a bit, and intend to get back to the series soon. I’ve had a passing interest in the American Civil War. I learned what was taught in school – the west coast perspective – and I read “The Red Badge of Courage” but that was about it. However in 1990 I watched with great interest Ken Burn’s The Civil War enjoying the insights and presentation, and learned a lot from it. A few years later I borrowed it from the library and re-watched it. Then I read Bruce Catton’s Centennial History of the Civil War, which covers the causes of the war, and the battles of Bull Run through the final surrender. I liked the books, and later I wanted more. I came across The Killer Angels by Michael Shaara, about the Gettysburg battle, and liked it a lot. Then my friend Dave Lewis suggested I try the books by Jeff Shaara, Michael’s son, and I got them in ebook format. 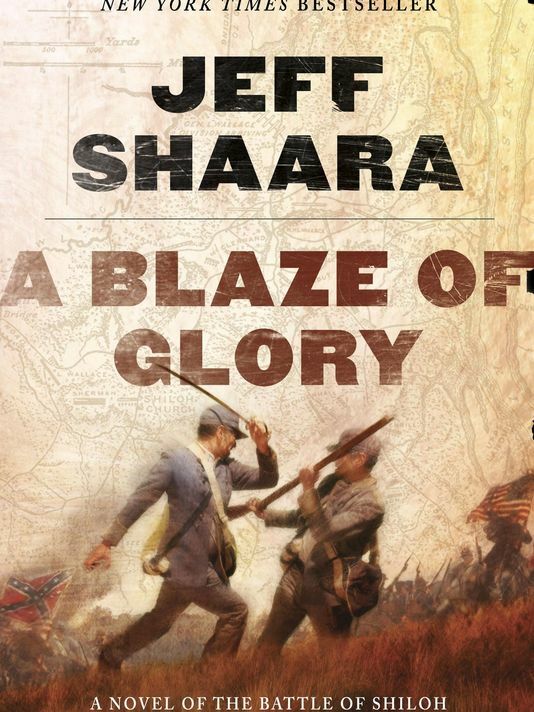 I’ve just finished reading the first of four in his Western Theater Tetralogy: A Blaze of Glory about the Battle of Shiloh. Like The Killer Angels, the book is written from the viewpoints of several people involved, on both sides of the conflict, both famous and a few characters added to give the story a more personal flavor. One of these is a foot soldier, carrying a single shot musket, who is on the front lines of this cannon-musket-bayonet battle. It was a bloody one, and our character was on his belly in the famous peach orchard fight. This book is very well done. I’ll be going on to the second book, which is about the battle and siege of Vicksburg next week. 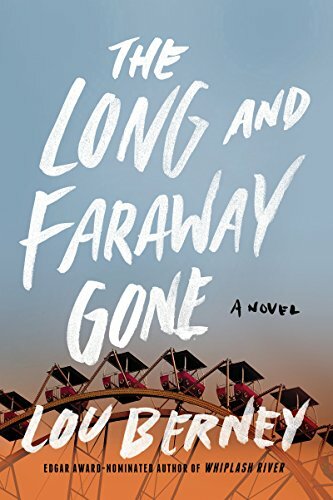 The Long and Faraway Gone by Lou Berney, William Morrow trade paperback, February 10, 2015, 464 pages, mystery, P.I. I read strong reviews – extremely positive in every way – on this, and several people had recommended this one, so after a long wait I got a copy from the library. The plot – “Twenty-five years after a devastating shooting and the unrelated disappearance of a teenage girl, the survivors of both events struggle to find out what really happened so they can move on with their separate lives.” – from Kirkus Reviews. It’s much more involved than that, and depending on your viewpoint as a reader, it’s either a straight P.I. story, or a noir story, or both, or a novel of obsession, or maybe all three. While others found the book compelling, I found it off-putting. To me, after a while, the level of obsession went beyond reasonable to nonsensical. I found myself thinking, and occasionally saying out loud, “Oh come on!” So I’ll recommend the book based on all the great reviews and other positives (I did like the sense of place), but for me, it was a “meh”. No, thanks. Don’t need it, want it, like it. It’s ridiculous. I want regular time, all the time. It’s idiotic, unneeded. Bill Crider didn’t like it and neither do I. When Perry Mason meets Mrs. Carl Newberry on a vacation cruise, she is a woman desperately interested in saving face. For she and her husband are newcomers to the ranks of the rich, and they’re sparing no expense at helping their daughter, Belle, make a successful splash in the right social circles. But Mrs. Newberry suspects that her husband embezzled the company he worked for and their new-gotten fortune is illegal. She turns to Mason for legal advice, and mentions during the interview that a signed portrait of their daughter, who looks quite similar to a well-known movie star, has been stolen from her suitcase. When Mr. Newberry dies suddenly and his wife is left holding his hefty money belt, Perry wonders if his grieving client is really a black widow. . . . This is a good, very enjoyable Mason novel, and there are enough twists and reveals to keep any Mason fan satisfied. The Perry Mason television show broadcast this as episode 31 on May 10, 1958 titled “The Case of the Substitute Face” with the plot slightly rewritten but substantially the same. For example, the cruise ship is coming from Vancouver, not Hawaii. 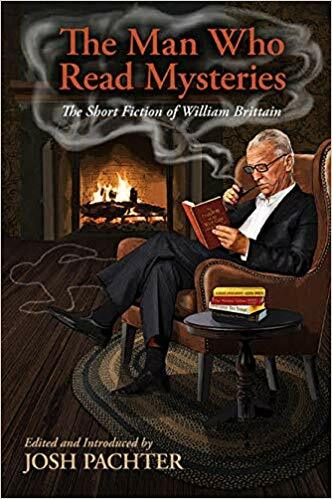 This light, easy, set of short stories by Brittan, which appeared in Ellery Queen’s Magazine over a span of decades will entertain readers interested in clever plot points. The book is divided into two parts, The “Man Who Read” stories, and the author’s Mr. Strang stories. 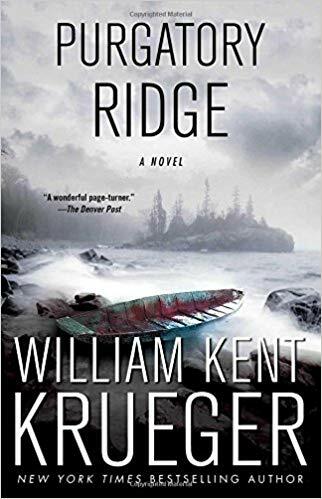 Purgatory Ridge by William Kent Krueger, Atria 2001 hardcover, mystery, Cork O’Conner series #3. This is the third book in the Cork O’Conner series, and as much as I liked the first two, this may be even better. * This book begins as Karl Lindstrom’s lumber mill explodes in the early morning hours, killing Ojibwe elder Charlie Warren. Lindstrom has planned to cut “Our Grandfathers”, a grove of old-growth white pines sacred in tribal lore. The local Native Americans are up in arms over Lindstrom’s plan. As word gets out, conservationists have descended on the town, eager to save the 300-year-old trees. When a person identifying himself as the Eco-Warrior, soldier of the Army of the Earth, claims responsibility for the bombing, the Native Americans are suspected of collusion as Cork’s wife, Jo, attorney for the tribe, protests their innocence. The quest to identify the Eco-Warrior bomber ultimately focuses on a young outsider, Brent Hamilton, and his zealous mother, who was crippled in a similar bombing. But the number of suspects widens to include the editor of the local newspaper, who has a grudge again Cork and is rumored to be the commander of the secret militant Minnesota Civilian Brigade. Two kidnappings occur. Karl Lindstrom’s wife, Grace Fitzgerald, is abducted, and Cork’s wife and six-year-old son are also taken as the Eco-Warrior demands $2 million for their safe return. My take: Smart, suspenseful, with beautifully crafted characters and setting, this is a fine mystery novel, not to be missed. Slow going lately, plus some computer problems, so this will have to do for current reading this week. But don’t let that keep you from sharing what you’ve been reading! 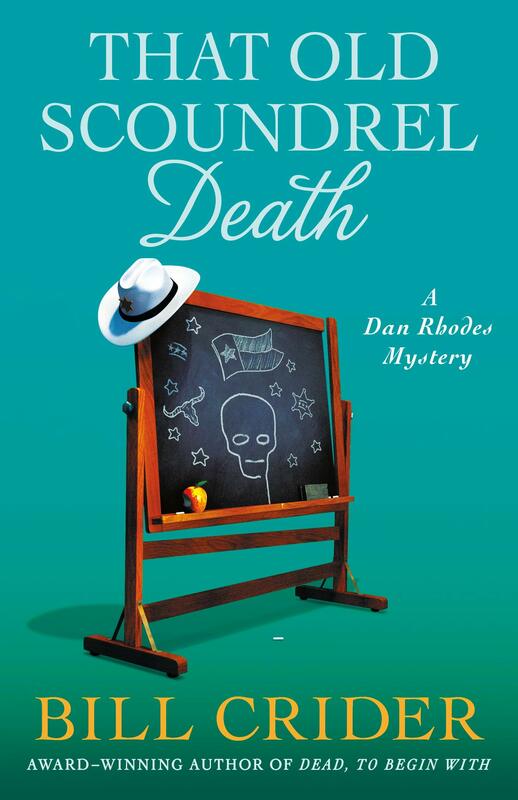 That Old Scoundrel Death by Bill Crider, Sheriff Dan Rhodes Mysteries (Book 25), Minotaur Books February 19, 2019, hardcover 288 pages. Published today, I got it about 4:00 p.m. His last book and the final Sheriff Dan Rhodes mystery. That’s both sad and exciting. note: I haven’t started it yet, I want to finish the book I’m 2/3 into, though I’m not sure I can wait. If you liked The Inheritance Cycle, consisting of the four novels Eragon, Eldest, Brisinger and Inheritance, then this is for you. If you didn’t read those, or read them and didn’t care for them, you might as well skip this collection of three short stories (or two stories and a short novella), as it refers to and depends on understanding the characters and places from those four books. I did read them, and liked them quite a bit, and was sorry when the last book was finished, so I was glad to see this, a surprise discovery at the book store. 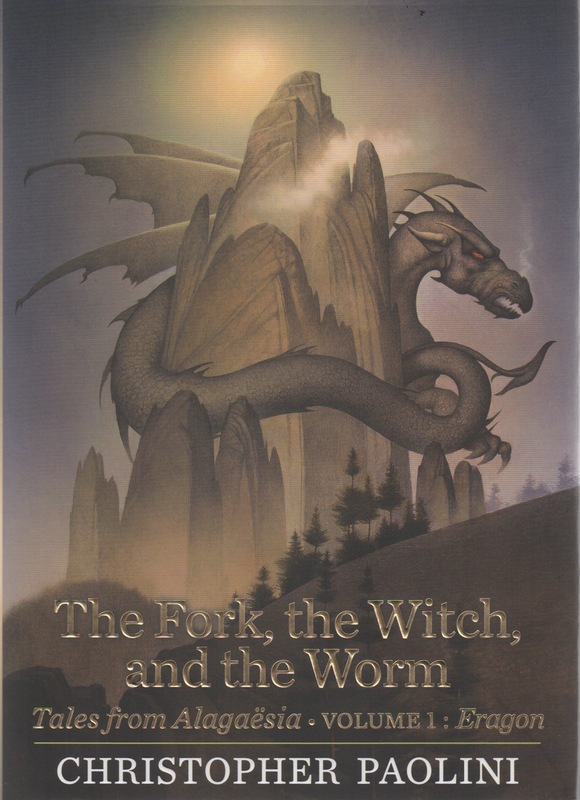 “The Fork” features Murtaugh, Eragon’s brother. The next two stories take place in their new – yet to be completed – aerie, which will be the home of Eragon and his dragon Saphra and the humans and dragons as eggs hatch. “The Witch” refers to witch Angela. The third story, “The Worm” tells a tale of the Urgal, and “The Worm of Kulkas”. All fine tales, though less than a fan of the Cycle would hope for. Still, quite enjoyable.